Founder and President of Matchmaking Institute and Lisa Clampitt Matchmaking. 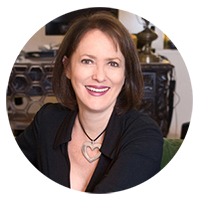 Lisa Clampitt, LMSW, MECM is the founder and president of the Matchmaking Institute as well as Lisa Clampitt Matchmaking, a professional matchmaker and relationship expert for over 20 years, a book author and a New York State Licensed Master of Social Worker since 1991 and a Master Executive Certified Matchmaker. She was educated at New York University, receiving a BA in Dramatic Literature, and received her graduate degree, a Masters in Social Work, from the University of Michigan. Lisa founded the Matchmaking Institute in 2003 to set an international code of ethics and strict quality standards in the matchmaking industry. It is the first institute offering a professional global matchmakers network and world-wide professional conferences. The Institute is the longest running matchmaking school in the world and it’s Spread the Love methodology has shaped the way matchmakers conduct business from competition to collaboration. Lisa has been a successful matchmaker since the late 90’s and in 2000 created VIP Life/Lisa Clampitt Matchmaking. Her high end New York City boutique matchmaking service serves as a bridge into a social network that allows extraordinary men and women to connect. Lisa is consistently sought after as a matchmaking and relationship expert and has had extensive National and international press coverage including ABC’s 20/20, the O’Reilly Factor, Time Magazine, Cosmopolitan Magazine, Forbes.com, Worth Magazine, Crane’s New York, the Wall Street Journal, the New York Times, Reuters and Today in New York among many other media outlets.